Discussion in 'Mac Pro' started by Luis Ortega, Jun 3, 2012. I am going to put in a 480-512 gb ssd as the boot drive in my mac pro. Would anyone recommend any particular make or model? The OWC drives and the OCZ vertex 4 drives look to have good reviews. Those are my top 3. Reliability is pretty paramount unless you buy 2. If you are buying Sandforce you might as well get the best firmware and warranty and Intel name. Very few users are having issues with Intel 520 at least in my circles. OCZ Vertex 4 looks good but is a somewhat untested new controller. Not enough time for stability assessing. Since you touched on it, I thought I'd ask: I've read some comments kinda doggin' the OWC drives here and there. What is that about? Is it just that they are over-priced in comparison to the others, or is there a quality difference of some kind that makes OWC a less desirable choice? Sandforce SSDs like OWC's all had problems with early firmware. Most of it is fixed now but it made a lot of people wary of them. Intel only jumped on the Sandforce bandwagon after the bugs were worked out. Thanks. Being in the UK, I find the OWC drives cheaper. I bought a 240 gb OWC ssd about two years ago while visiting the states and it has been fine in my MBP. I'm going to visit the US in the summer and could buy an OWC ssd while I am there, if it's the best choice. I read good reviews on the Crucial M4 as well. Quality is the same as other Sandforce vendors, no better no worse. They just try to charge more to the "Mac Community". They were initially dishonest with me in my dealings with them and I have had to return 2 SSD's. I lost money on all the shipping and time. OWC Extreme line is actually really high quality there are just better alternatives now that Intel sources better NAND and tested their own in-house firmware for over a year for stability prior to release. YMMV. 1) What other SSD types/vendors are there besides Sandforce? 2) In your opinion, is the Intel 520 the best available on the market right now? money no object samsung 256gb ssd . 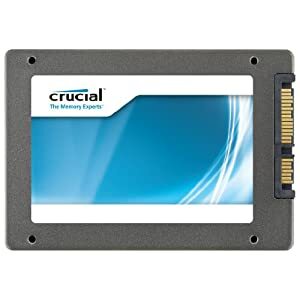 price as a factor crucial m4 512gb ssd is on sale today at amazon for 399 . If I owned my mac pro I would buy 4 crucial m4 512gb ssds today. I did buy 2 one for a pc and one for a mac mini. This can only be installed on MacPro, not MacBook, not iMac. Do you like the Samsung too? Your words and a PCmag review on the performance are making me want to buy one in spite of my usual tendency not to care about ssds. Bad drive firmware has a unique way of annoying me, which would be one reason why I switched from seagates to caviar black drives a few years ago (I think 2009). If price were no object and I was running PCIe 2.0 I would be using the PCIe SSD cards. Hands down. I have not owned the Samsung 830 but other people here like them and swear by their stability and speed. They are relatively cheap as well. You can get at Newegg right now a 256GB for $259.00. $1 a Gig seems reasonable. It has really great 4K writes making it a great boot drive. 500+MB/s reads and 400MB/s writes. In term of performance they are ranked: Intel 520, Samsung 830, Crucial M4. Samsung makes their own. Marvell is the other major controller and it is in the Crucial M4 and a altered version called Indilinx for OCZ's Vertex 4. In my opinion Intel 520 and 330, Samsung 830 are best right now. Crucial is good too but not as competitive performance wise which is fine as it is also cheaper. Start here and find out what you care about in an SSD. Yes, such as the Accelsior card mentioned above. I thought about going that route for my upcoming system but wonderspark and many others gave me some valuable insight and I decided to go with an SAS box/RAID controller card/HDD setup, RAID 0 for max throughput (and of course other HDDs for diligent backing up of the stripe). Admittedly though, the Accelsior's 700+ mb/s looked mighty appealing! LOL i can dig it! That's quite a setup you've come up with. How many gHz? Thanks so much for the info! I've bookmarked that page and will definitely read up on those articles, and look into the Intel/Samsung drives. I recently upgraded my MacBook Pro late 10 with a 480 GB OWC SSD and a 7,200 750GB in the Optibay. Also maxed the RAM and picked up the external CD/DVD RW. I installed Lion and Apps ONLY on the SSD. All jobs on secondary drive. I can now boot and launch InDesign, Illustrator and Photoshop in 27 seconds. I have my old drive in a box to toss in for any warranty claims. $869 for drives and Data Doubler. $108 for ExtDVD and Power adapter. Customer Service is amazing at OWC. I call Brad and he hooks me up with free shipping and spends the time to answer ANY questions. I HIGHLY recommend them. I quoted other pricing and his supervisor gave a slight discount on some, and packaged another. Even though I paid a few dollars more for some items, the service and retune/shipping policies are top-notch. I mistakenly ordered too much RAM for the Mac Pro (and opened it). Brad immediately sent me a prepaid RMA label and a full refund. I've always been satisfied with OWC's level of service too. Chris was my rep of choice and was always very helpful. I don't know if he's still there or not as it's been some time since I've had reason to call them for anything. Glad you're enjoying the performance increase! Did you go with the 3G or 6G SSDs? Just curious. Please keep us posted and let us know how they continue to work for you. So there is never a right answer to questions like these, but I talked extensively to my buddy who does mac upgrades on all the machines for a design firm. He recommended this guy. You do know you are on a forum with techs that have bigger britches than that, right? This also just dropped back down to $399, it was at $412 yesterday. I went ahead and ordered one. I have a pair of the 256GB Crucial M4's. One in my older MacBook Pro, and one in my MacPro. (Early 2008). Love them. Had to tinker to get TRIM support, but they are nice and fast. Easily saturate the SATA II bus. best 512 GB ssd for 2 x 2.8 Quad-Core intel Xeon 2008 model Mac Pro? It is a 6G drive, but my Mac Pro (1,1) only supports 3G. Wow, that Crucial drive sure seems like a bargain!! Dang! Excellent but pricey choice. Maybe a 20-25% realized gain over standard ssd. My next would be Vertex 4 and then my current OWC Mercury Extreme. Was going to go with two SSDs from OWC. But maybe I should look at crucial, but when I do google it I read about firmware updating issues, I don't want any of that. Was gonna go with a 512gb boot drive, 128gb scratch drive. And bay 4: 3tb HDD session storage. Already have a time capsule to back up to.